MANILA, Jan. 21 (CGTN) -- Muslims in the southern Philippines were voting on Monday in a referendum on a new autonomous region that seeks to end nearly half a century of unrest, in what their leaders are touting as the best alternative to a new wave of ISIL-inspired militants. The vote caps a tumultuous peace effort by the government in Manila and the Moro Islamic Liberation Front, the main rebel group, to seal a deal that was signed in 2014 but languished in the Philippine Congress until it was finally approved last year. Bloodshed including the siege of Marawi city by ISIL-linked militants and other bombings and attacks in the south threatened to derail it. Al Haj Murad Ebrahim, chairman of the Moro rebels, has repeatedly said that the creation of a viable Muslim autonomous region is the best antidote to about half a dozen smaller ISIL-linked radical groups that remain a threat in Mindanao, the homeland of minority Muslims in the largely Roman Catholic nation. "We can roughly conclude that all these splinter groups are a result of the frustration with the peace process," Murad said in July, when President Rodrigo Duterte signed the legislation creating the new region, called Bangsamoro. Under the deal, the rebels gave up their goal of an independent state in exchange for broad autonomy, although they originally wanted a federal unit with more powers. Their 30,000 to 40,000 fighters are to be demobilized. Murad has appealed to the international community to contribute to a trust fund to be used to finance the insurgents' transition from decades of waging one of Asia's longest rebellions. Centuries of conquest – first by Spanish and American colonial forces that had ruled the Philippine archipelago followed by Filipino Christian settlers – have gradually turned Muslims into a minority group in Mindanao, triggering conflict over land, resources and sharing of political power. Uprisings seeking self-rule have been brutally suppressed, feeding more resentment. Insecurity is fueled by the proliferation of weapons and armed groups that have resorted to ransom kidnappings and extortion for survival, such as the brutal Abu Sayyaf, which is not part of any peace process. Bangsamoro replaces an existing poverty-wracked autonomous region with a larger, better-funded and more powerful entity. An annual grant, estimated at 1.3 billion U.S. dollars, is to be set aside to bolster development. Western governments have welcomed the autonomy pact. They worry that small numbers of ISIL-linked militants from the Middle East and Southeast Asia could forge an alliance with Filipino insurgents and turn the south into a breeding ground for extremists. In 2017, Philippine troops backed by U.S. and Australian surveillance aircraft routed the militants who occupied Marawi for five months in battles that left more than 1,200 people, mostly Islamic fighters, dead and the mosque-studded city in ruins. Overall, the conflict has left about 150,000 people dead over several decades and stunted development in the resource-rich but underdeveloped southern region that is the country's poorest. The Commission on Elections said it has printed 2.1 million ballots for the plebiscite. Results are expected no later than January 26. 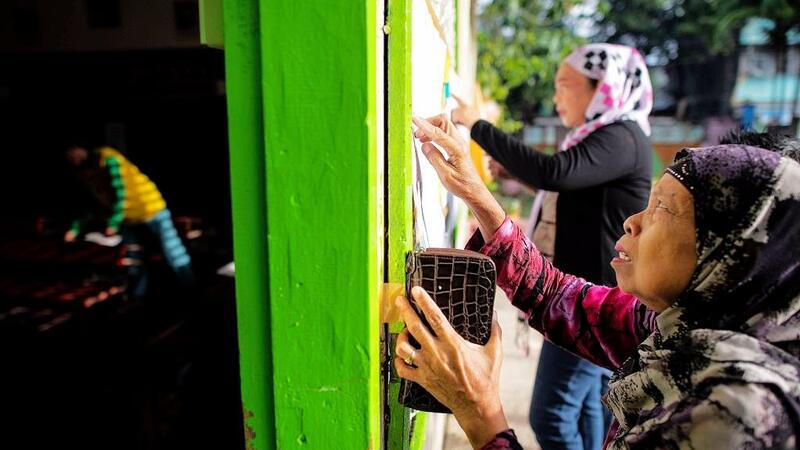 If the measure is approved, a second referendum on February 6 will ask residents of Lanao del Norte province and seven towns in North Cotabato province with a sizeable Muslim population to decide whether they want to join the new region as well.